With the St Kilda - The Silent Islands having been shortlisted for a Saltire Award, the book has had some recent press attention, as well as being included in a few end of year best of lists. Nadine McBay covered the Saltire Nomination and my appearance at the Faclan Book festival in The National newspaper which can be read here. The Herald also recently included the book on its ‘Best Scottish Books of 2018’ list. You can read the article here. Finally, and as a thank you for all the kind support I’ve received this year, you can read the introductory chapter of St Kilda - The Silent Islands on The Island Review at the link below. With the launch of St Kilda - The Silent Islands, the book has appeared in a number of photography journals, and been reviewed in a number of publications. There is a favourable review of the book in Photo Monitor by Lottie Davis which praises the books commitment to presenting an accurate picture of St Kilda, as well as the accessibility of the publication. “Alex Boyd captures the natural beauty magnificently, while his studies of aircraft wreckage, radar stations and other signs of the islands' military presence, reveal another side to this captivating place"
I’m delighted to announce that St Kilda - The Silent Islands has been shortlisted for a Saltire Society Award. Nominated for the First Book award, it has been selected alongside Mick Kitson, Christina Neuwirth and Calum L. MacLeòid. The winner will be announced at a ceremony in Edinburgh in November. Widely regarded as Scotland’s most prestigious book awards, the Saltire Literary Awards are organised by the Saltire Society, a non-political independent charity founded in 1936 which celebrates the Scottish imagination, and are supported by Creative Scotland. 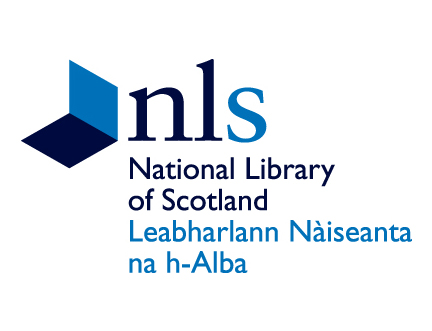 I've been awarded a Fellowship at the National Library of Scotland to research and write a new book, which will finally allow me to develop out a project I've been working on for a number of years. The Fellowship has given me the chance to spend time in the archives as well as in the mountains of Scotland climbing and photographing. You can read more about the Graham Brown Mountaineering Fellowship here. The book St Kilda - The Silent Islands was launched earlier in the year and so far has enjoyed favourable reviews, as well as some packed launch events in Glasgow and Edinburgh. "Is there a danger that, by over-romanticising St Kilda we fail to understand it properly? - That seems to be the thesis of an admirably clear-sighted series of pictures by photographer Alex Boyd"
The new issue of The Dark Mountain also features a selection of images from the book. You can buy a copy of this leading arts and poetry publication here. There are currently several upcoming events, both of which will focus on the St Kilda work. These will be an afternoon talk as part of the Edinburgh Festival Fringe as part of 'Scotlands' run by my publisher Luath Press. You can buy tickets here. The second talk will be as part of the Portobello Book Festival in October, and I will also be speaking at the Faclan 2018 book festival in the Outer Hebrides on the 31st of October. More details to come. I have co-curated an exhibition at An Lanntair, which follows on from the successful curated room of Hebridean Art at the Royal Scottish Academy. This exhibition includes work by Ellis O’Connor, Beka Globe, Andy Laffan, Mhairi Law, Moira Maclean, Katie Harris Macleod, Laura Maynard, Christine Morrison, Jordane Symington and Rachel Thompson. It also features a unique contribution from Hanna Tuulikki. More information about the show can be found here. I was invited to write an article by On Landscape magazine reflecting on the usage of antique photographic processes, and discussing some of the findings of my Winston Churchill Fellowship. You can read it here. "Alex Boyd's tintypes of the Isle of Skye, silvered and smeared at the edges, or showing broken film, achieve an older, Romantic idea of the landscape which sets it apart from familiar experience." Studies in Photography can be purchased here. Bonus content - The Story Behind the Image. Thanks to the team at Luath Press, you can now watch the 45 minute talk between myself and Dr Kevin Grant at the launch of St Kilda - The Silent Islands. The talk covers many aspects of island life, including misconceptions, myths, as well as some of the stories behind working on the project itself. Alex Boyd’s stark and contemplative photographs of St Kilda explore the complex history and landscape of the ‘Islands at the Edge of the World’. He discusses the power of this special place, focusing on the efforts of the Ministry of Defence and the National Trust to preserve its unique environment. From January 2018 the Royal Scottish Academy will open a new exhibition RSA SSA/VAS 2018 in collaboration with the Scottish Society of Artists (SSA) and Visual Arts Scotland (VAS). A room in the exhibition will be curated by An Lanntair Gallery in the Outer Hebrides, and will feature work from my Hebrides series. The current edition of The Herald Arts Magazine has chosen Hyperborea - Lands of the North as their Critics Choice exhibition. Writer Sarah Unwin Jones describes the work of Ragnar Axelsson as 'superb' portraiture, the work of Chris Friel as 'beautiful and extremely moving' and my own work from Scotland and the Faroe Islands as 'dark, elemental and ambitious'. The exhibition runs until the 4th of November. 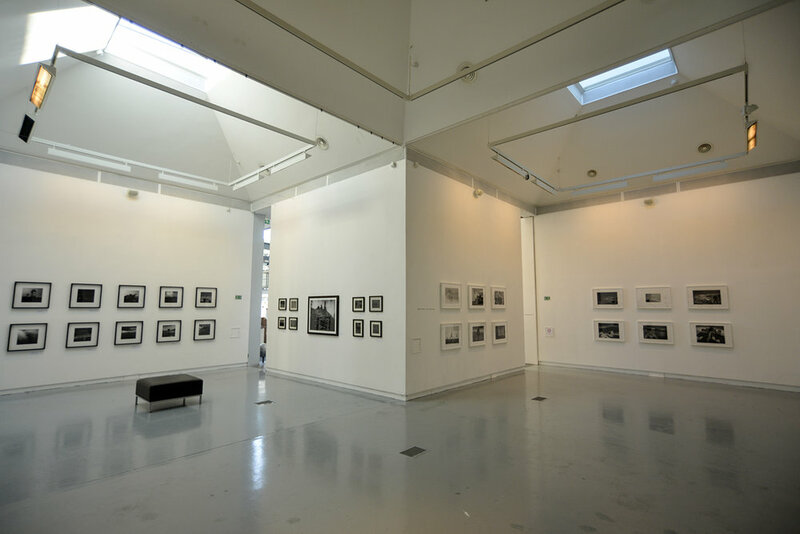 Taking its name from the mythical location found ‘beyond the North Wind’, this exhibition brings together three acclaimed photographers from Iceland, Scotland and England. The 18th century philosopher John Toland identified ‘Hyperborea’ as the Isle of Lewis, making it a fitting location to share a series of works which explore the remote geographical regions of Northern Europe, such as Iceland, Greenland, the Faroe Islands and the Outer Hebrides. The stark black and white work of Ragnar Axelsson, better known as RAX, have been the subject of landmark photographic books such as Last Days of the Arctic. His insightful and unsentimental images reveal vast landscapes, remote communities, and people making a living in the harshest of environments. Over three decades he has established himself as one of the world’s leading documentary photographers with work published in the New York Times, National Geographic and Time. The photographer Alex Boyd is best known for his brooding landscapes which utilise antique processes to depict the mountainous terrain of his native Scotland, with images made using silver, cyanide and glass. This exhibition contains new work made in the Hebrides, with Japanese inspired landscape work made in challenging conditions on the peaks of the Cuillin Ridge of Skye, as well as in the Outer Hebrides. It will also feature new documentary work from the series ‘The Land of Maybe’ made over several years and journeys to The Faroe Islands. Concentrating on portraits of the people and landscapes of the archipelago, this ambitious project will be published as a book in late 2017. Chris Friel is perhaps best known for his experimental and innovative approach to making images, using digital techniques to make haunting and ethereal works which explore time and place. ‘After’ is a moving response to the loss of his son Joe, who took his own life in December 2016. Made over the course of a single day, the work is a meditation on memory and place, and was made in the landscapes of Lewis and Harris. The show has been curated by Alex Boyd, with assistance from The Flow Festival of Photography, and with assistance from the Daiwa Foundation. 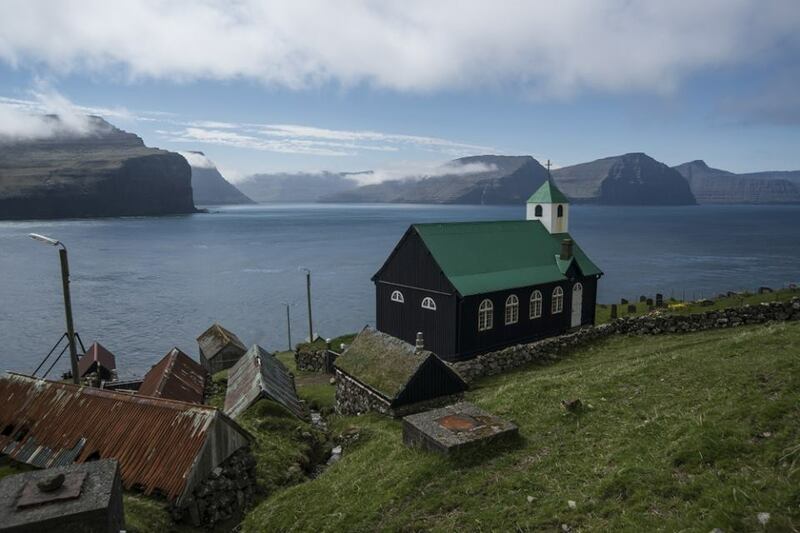 New Exhibition | The Land of Maybe - A Portrait of the Faroe Islands. This new collection of work will be shown for the first time at Kaunas Photo. The exhibition runs from Sept 2nd -30th at Vytautas Magnus University (Vytauto Didžiojo universitetas). The series 'The Hebrides' has been shortlisted for the prestigious Japanese Hariban Award, run by the Benrido Collotype Academy. You can learn more about the award here. Italy's largest newspaper Corriere della Sera has a feature on my Faroese work in their Saturday supplement Io Donna. The 5 page article features portraiture, landscape work and concentrates on the lives of the women who make their home in the remote archipelago. The Daiwa Anglo - Japanese Foundation have awarded me a grant to make work in the Japanese Alps in Spring 2018. This work will form the foundation for a new series of works which combine mountain culture and hand made processes, resulting in a book in late 2018. Earthines Magazine features a new 6 page interview on my work with alternative processes, with a focus on my work made in Ireland since 2012. The Magazine also features a contribution from Hanna Tuulikki who I worked with on the project 'Away With the Birds'. Copies are available from their site here. Work from the series ‘The Hebrides’ will be exhibited at the MMX Gallery in London between May - June 2017. The show will include several large prints from the series, as well as the opportunity to view original tintypes made on the Isle of Skye. This show brings photographs into being by interpreting the environment rather than illustrating it. Using landscape photography as a metaphor to bring together simultaneous ideas and reflections that reveal themselves in another light to the photographer and viewer. Not strictly about the physicality of the landscape but how it is shaped and revealed. Each artist work is diverse in technique, style, method and process; yet they share a similar approach and understanding that is ‘beyond the visual’ that a photograph should speak of something more than the photographic process itself. Emphasising the difference between a photograph of something and a photograph about something. Being in the landscape and representing the landscape is to simultaneously inhabit two worlds, the one before us and the one inside us. MMX Gallery is a contemporary photography gallery based in London, exhibiting established and new photographers and photographic artists. 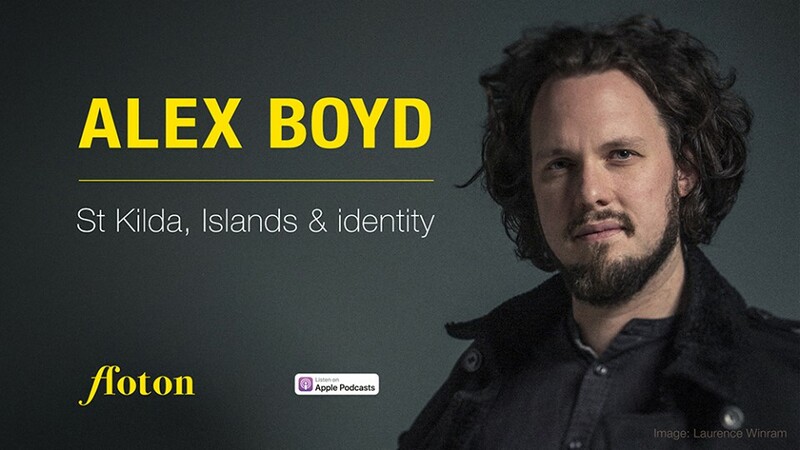 The latest exhibitions, commissions, publications and events from Alex Boyd.